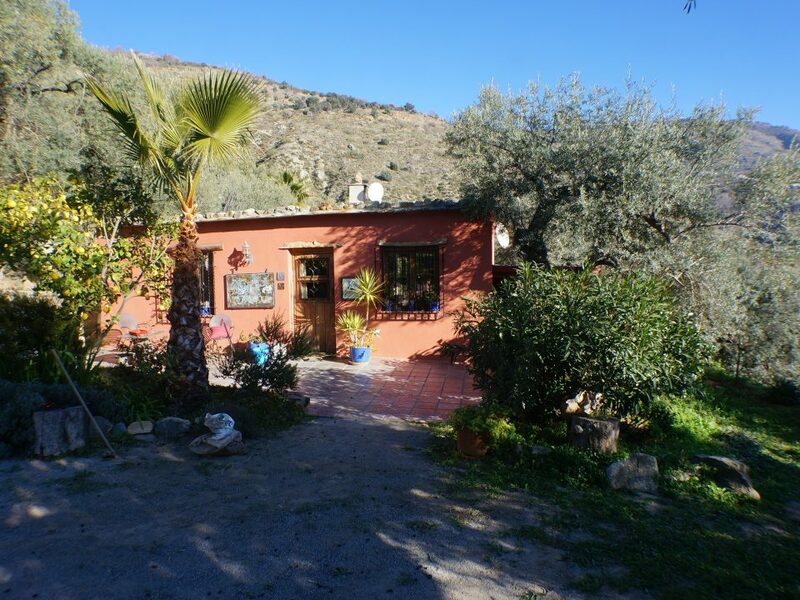 orgiva country house property in the alpujarras for sale - HomesEspana Orgiva Property Real Estate Agent Inmobiliaria Since 2003 UA-39695354-1 HomesEspana Orgiva Real Estate Agent Inmobiliaria In Orgiva and lanjaron for Properties In The Alpujarras-Granada-Andalucia-Spain. 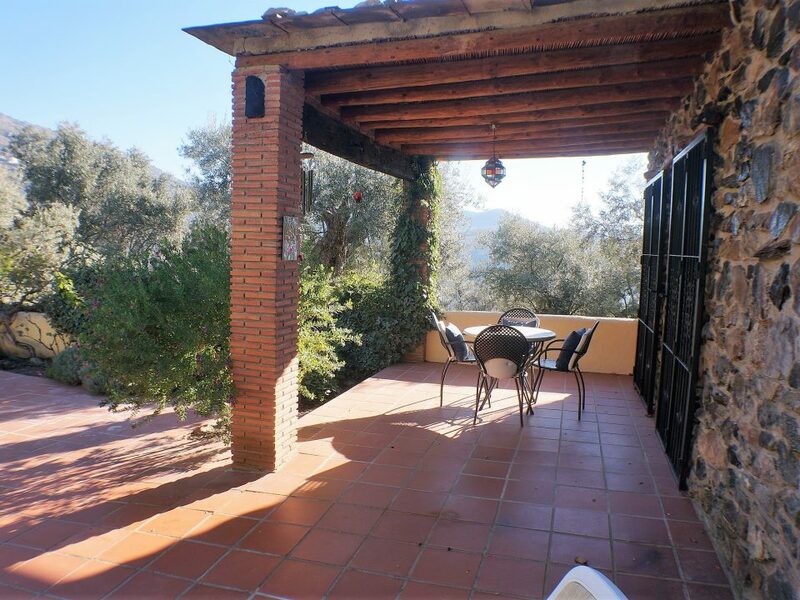 A beautiful cortijo of modern construction, with two double bedrooms, a swimming pool and 17,000 m2 of land , with electricity, water, good access and spectacular views. 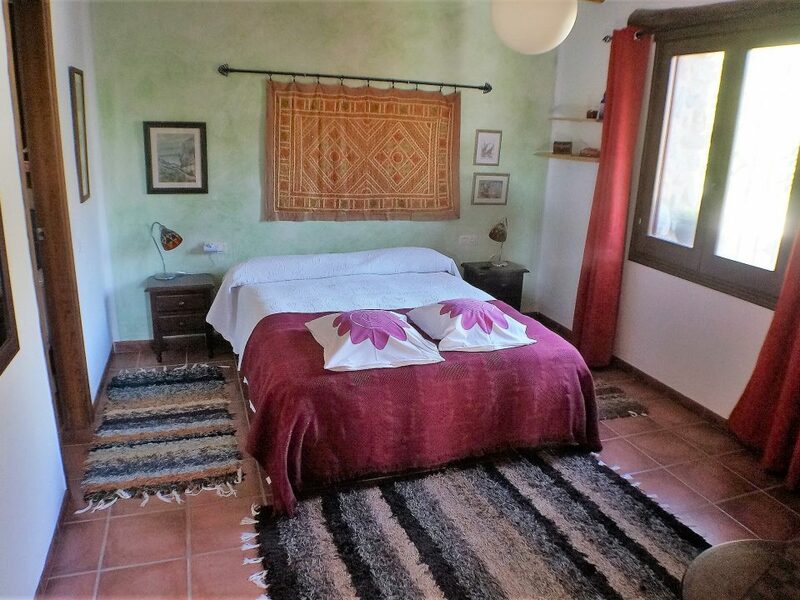 The finca is located at an altitude of 800m, on a south facing hillside, accessed by 300 m of good cement track from the road to Orgiva, 4 km distant. 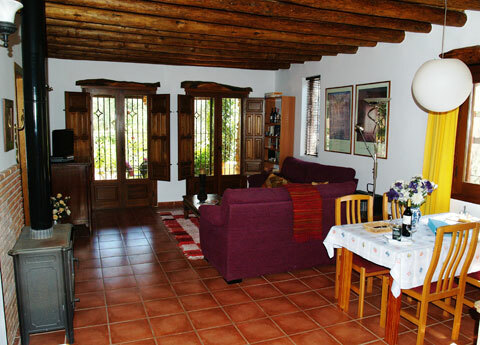 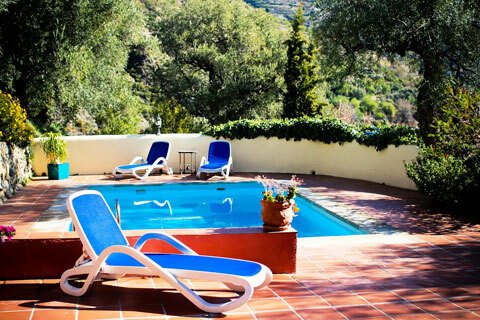 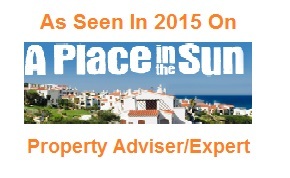 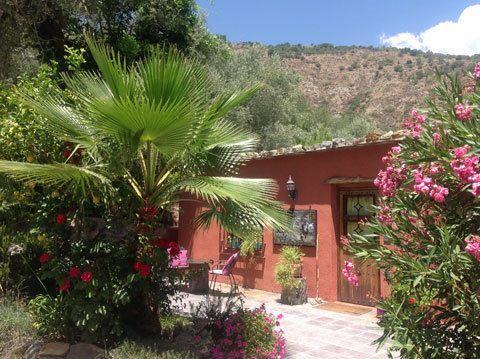 The cortijo has 95 m2, and was built in 2002. 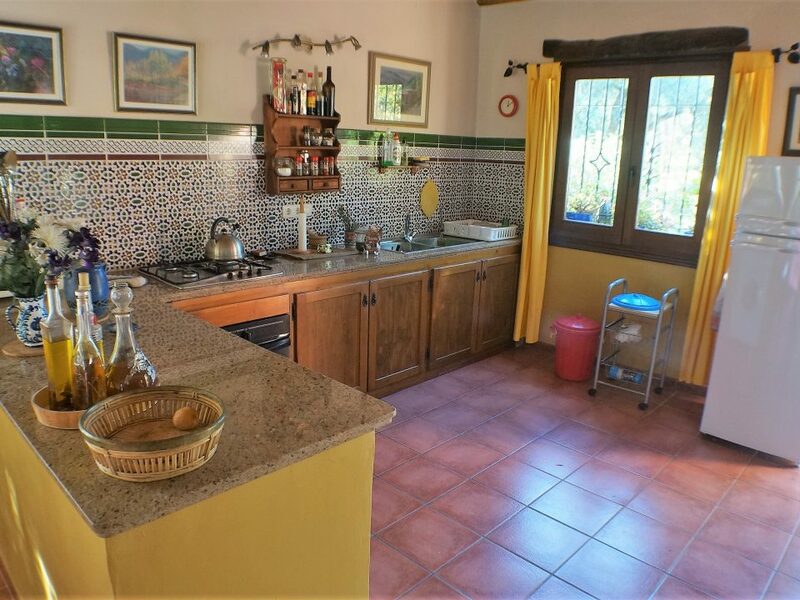 A front terrace opens into a large living room-dining room with an excellent wood burning stove, and an open plan kitchen at one end, with a gas hob and electric oven. 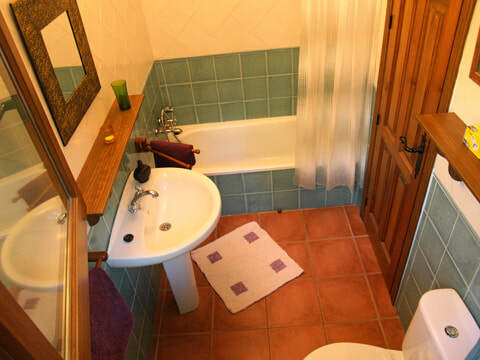 There are two double bedrooms, each with en-suite bathrooms, walk-in cupboards, and ac/heating units. 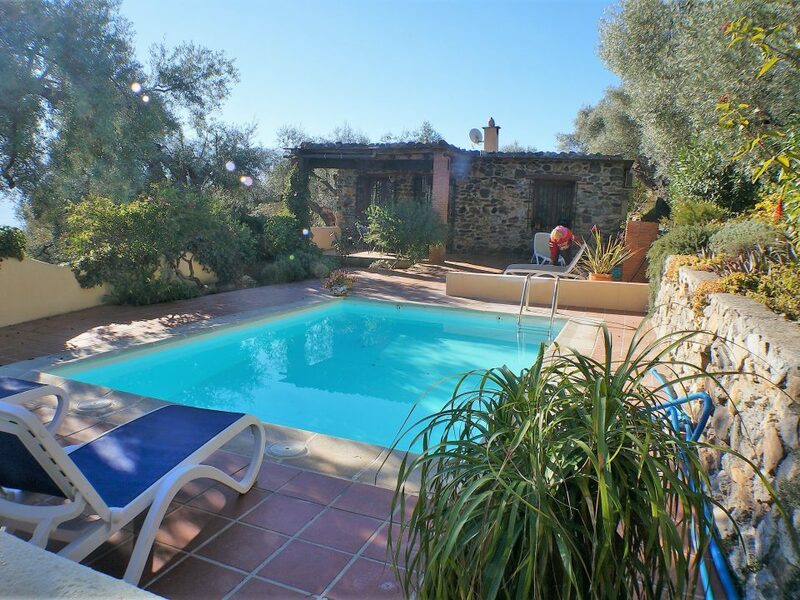 At the other end of the living area a door opens onto the back terrace, with a large 6m by 4m swimming pool with full pump and filtration system, and a covered patio. 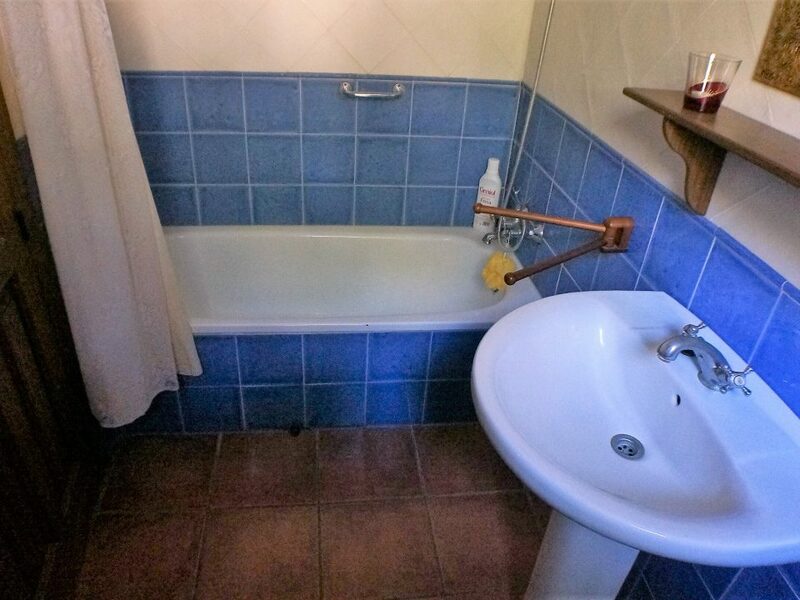 The standard of construction, finish and furnishing is extremely high and there is double glazing and good wall and roof insulation, The property is sold with all contents. 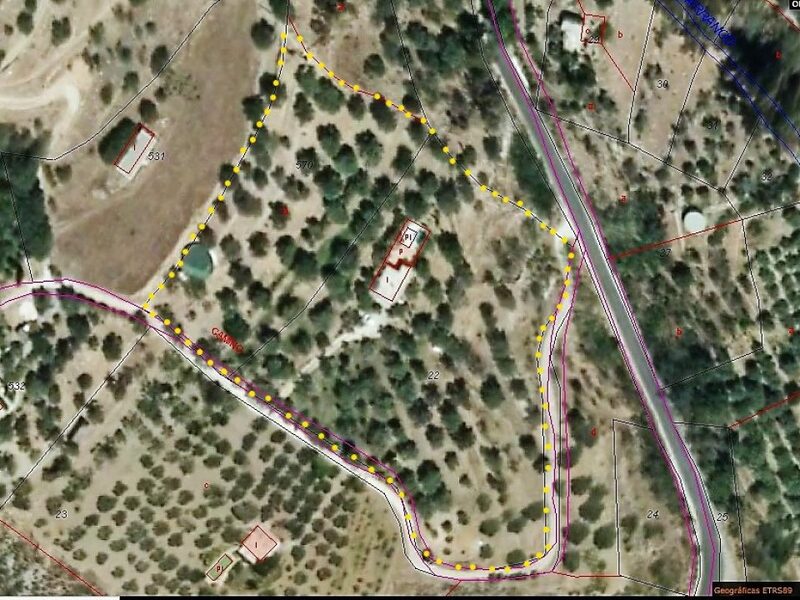 The land is of two adjacent plots, 17,000m2 in all, and it consists of irrigated terraced south facing hillside land, with about 400 olive trees, and many types of fruit tree...apple, pear, peach, cherry, kaki, almond, apricot, grapefruit, orange, etc. 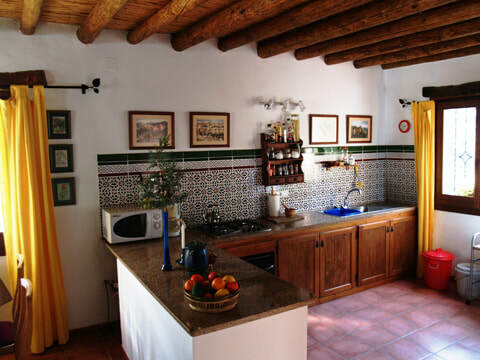 The finca has been producing olive oil certified as organic since 1990. 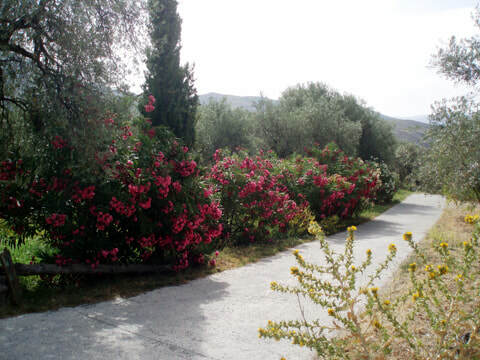 There is a drip irrigation system installed. 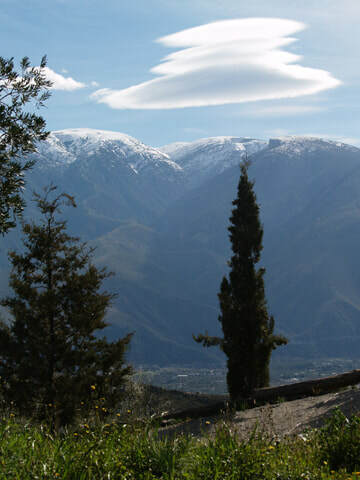 Water for irrigation and for domestic use comes from a spring, whose water has been analysed, and registered with the Federacion Hidrografica, and from two acequias (water channels) whose water is stored in a 120,000 l water deposit at the upper edge of the finca. 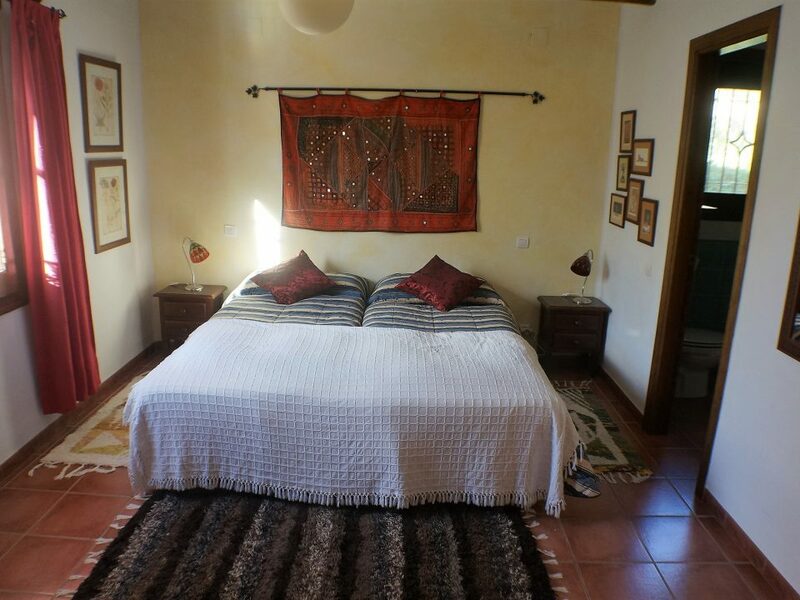 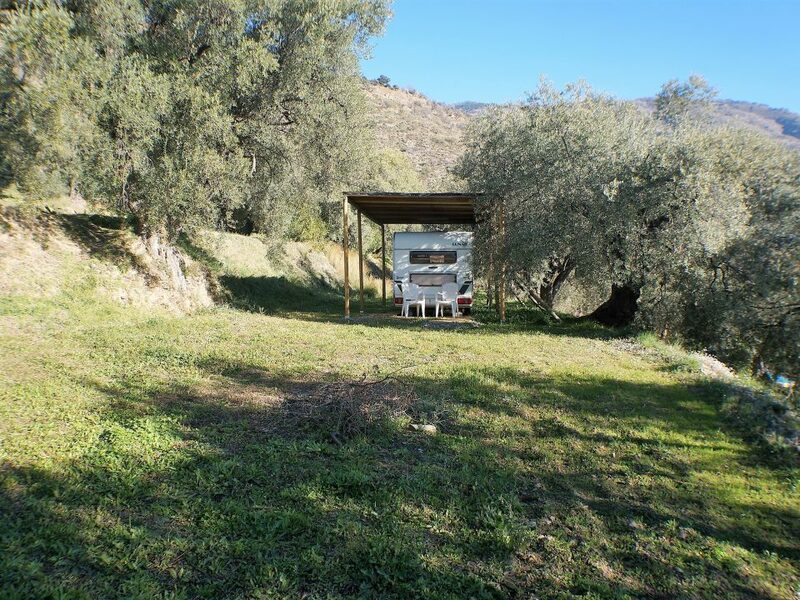 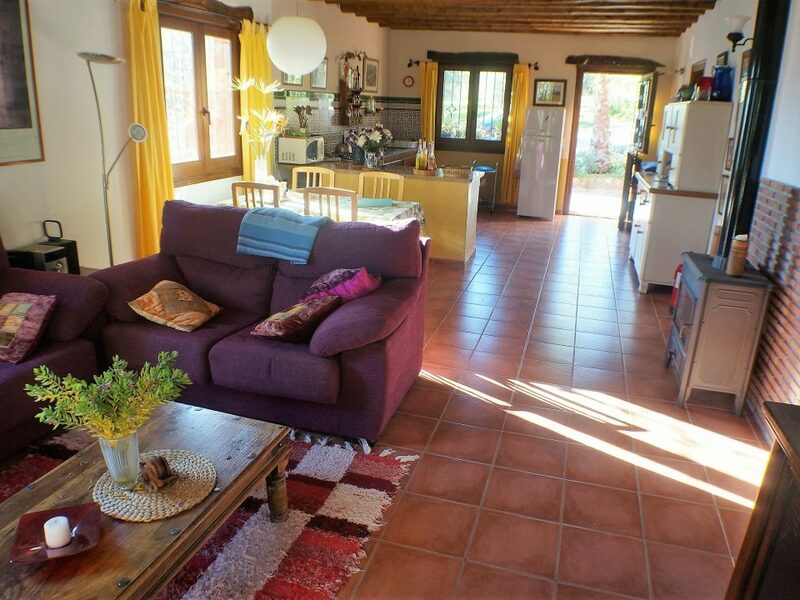 There is on the land a large caravan, for up to five people, and a store room.The cortijo is registered with Turismo of Granada, and is 100% legal. 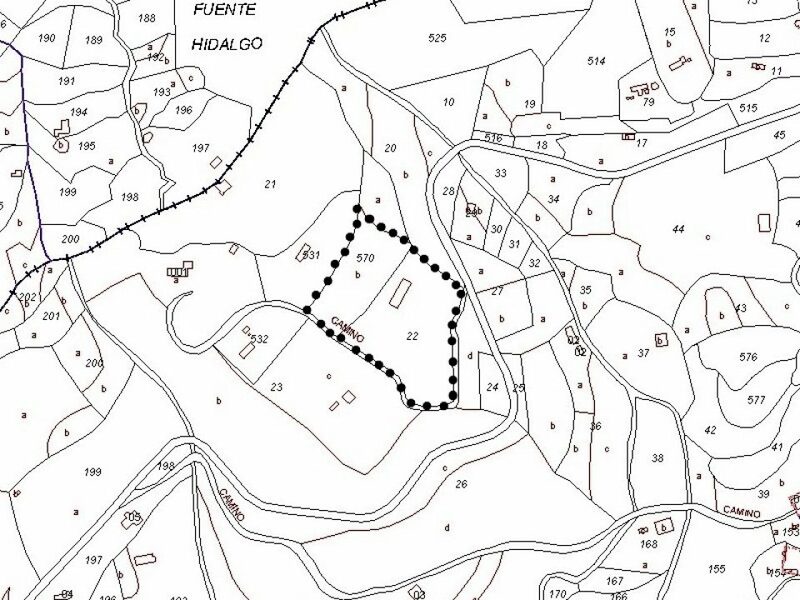 It would be possible to build a second building on the upper plot of land, although it would not be able to be used as a dwelling.